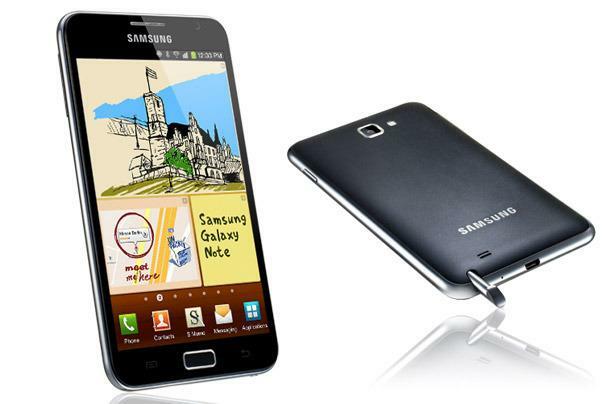 Telstra will sell the Samsung Galaxy Note in Australia from next Tuesday 24 April, the telco announced today. The Samsung Galaxy Note was officially launched in Australia last month and has been available through Optus and Vodafone for a number of weeks. At the official launch, Telstra revealed the device would be available in April, though did not specify an exact date. That date is now confirmed to be Tuesday 24 April. Telstra will sell the Galaxy Note for $0 on its $99 Freedom Connect Plan over 24 months. The plan includes $1200 worth of calls and MMS messages, unlimited SMS messages and 2.5GB of data per month. The Galaxy Note is also available on Telstra's $59 and $79 Freedom Connect plans for $20 and $10 per month, respectively, and can also be bundled with a range of Telstra's business plans. Telstra's pricing is significantly higher than both Optus and Vodafone — Optus sells the phone for $0 on its $79 cap plan over 24 months, while Vodafone stocks it for $5 on its $59 cap plan over 24 months. The Galaxy Note is best described as either an extra large smartphone or a small tablet, though Samsung officially declares it a new category of device that sits in between the two. The key features of the Samsung Galaxy Note are a large 5.3in screen and a stylus called the "S Pen" that allows users to take notes, draw onto the screen, and annotate images and PDF files. The official Galaxy Note micro site says the Android smartphone intends to "consolidate the core tasks of multiple devices" including the smartphone, the tablet and a physical pen and paper. "There is an emerging desire for a primary device for on-the-go use that could consolidate the core tasks of multiple devices as well as recreate the ease and simplicity of using a pen and paper," the site reads. "The Galaxy Note is a primary device that will minimise the need to switch to other devices while on the go and open up the potential of your mobile experience." The Australian launch of the Galaxy Note was significantly delayed. The device went on sale in various European countries late last year and launched in the US earlier this year. Online mobile phone store MobiCity was the first online retail outlet to sell the Galaxy Note in Australia back in October last year, but the phone was a grey import model rather than an Australian one. It currently sells the same model for $629. The Samsung Galaxy Note is powered by a dual-core, 1.4GHz ARM Cortex A9 processor, has 1GB of RAM and comes with 16GB of internal memory. There's also a microSD card slot for extra memory, an 8-megapixel camera that records HD 1080p video at 30 fps and a 2-megapixel front facing camera for video calls. The phone currently runs the 2.3 Gingerbread version of Google's Android operating system, though Samsung has promised an upgrade to the latest 4.0 Ice Cream Sandwich version in the near future. Last month, Samsung announced it had sold over two million Galaxy Note devices globally. The company expects sales of the device to reach over 10 million by the end of 2012.